Is my smartphone compatible with Hector and its App? How di I download Hector’s App? How do I initiate Hector? To initiate Hector you have to remove the transparent plastic tongue that activates the battery. Hector is now activated. Then launch the app on your smartphone and follow the tutorial. you can now start using your Hector! You can now choose the Hector you want and start using it! My phone doesn’t detect Hector, what should I do? Before all, be sure the the Bluetooth is turned on on your smartphone, hector doesn’t need to be linked to your phone, you just have to use the app. Step 1: Verify the the battery is good or change it if it’s not. (our products are shipped with brand new batterys) the autonomy of this king of battery is about 9 to 12 months with Hector. 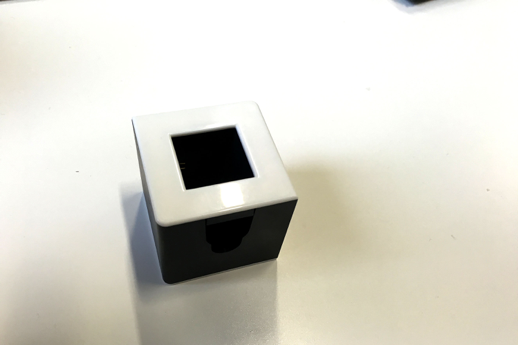 Step 2: If the cube is already not detected by your phone, try to reboot you phone. 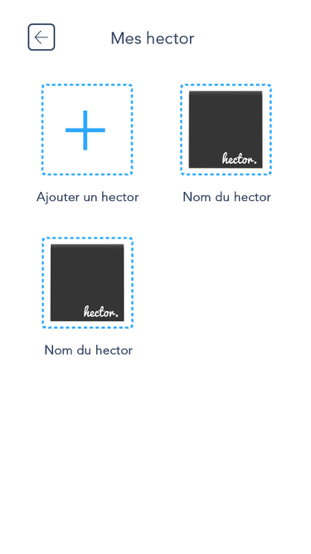 Step 3: If Hector is already not detected please try to delete the app and re-install after. About iPhone users, since iOS 10 update some phone doesn’t recognize Hector so, enter the settings > General > Reset > Reset Network Settings. 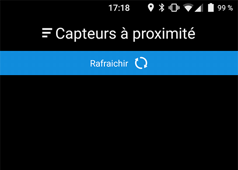 About Android phone’s users, some Samsung (Galaxy S6,S7) and Huawei phones have another kind of Bluetooth driver that can block hector’s detection. How can I use several Hectors? The app was created to use more than just one cube. Go to the menu and select “My hectors”, then add as many cubes as you want. How do I activate the battery? 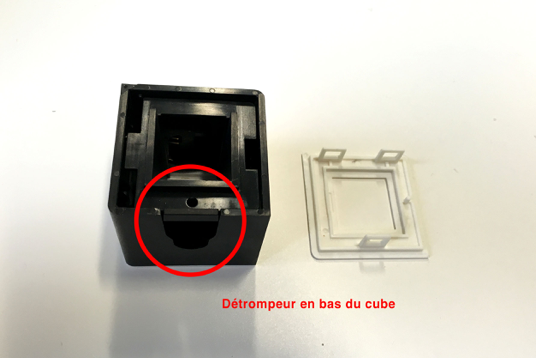 You just have to remove the small plastic tongue located in the centre of the cube. Once it is removed, Hector can be initiated. Once it’s remove hector must be turned on. 1) Push there to open the battery door and remove this door. 2) To remove the battery, use a a little screwdriver to remove it from it’s place. 3) Put the new battery in it’s place, then, push on it to “clip” it. 4) Put the battery door on the top and clip it. Hector is now ready to use and turned on. I dismantle my Hector, what should I do? These pictures will help you to rebuild you Hector. Be careful! You mustn’t touch the electronic part; you can manipulate the electronic card with the black battery support. How to send back a defective Hector? Be sure the the Bluetooth is turned on on your smartphone, hector doesn’t need to be linked to your phone, you just have to use the app. These steps do not solve your problem? 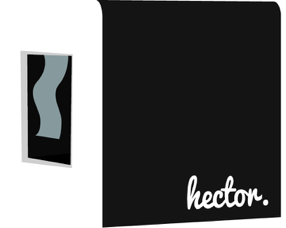 Let’s send we back your Hector by contact your reseller. How to export my data history? You can export your data history like temperature, pressure a humidity. To do that, use the app, go to menu > Export. You can now select what you want and the period needed. The user manual is in the Hector’s packaging but also in PDF on the web site. 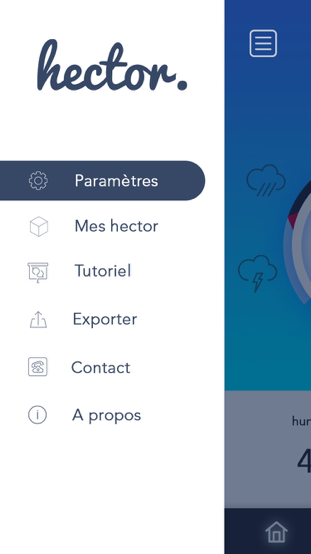 Are there some updates for Hector’s app? There are some updates. To check that, just use the App Store if you use an iPhone or use Google Play Store on Android. How can I purchase my order? If you change your mind and you want to cancel your order, you have 14 days to send back your Hector. The packaging must be clean; Hector will not be used. Once we get back the product, after verify, we will give you back your money from the order value only (without shipping). When the order is checked, it will be around 48h to 72h in France. Which methods of shipping do you offer? 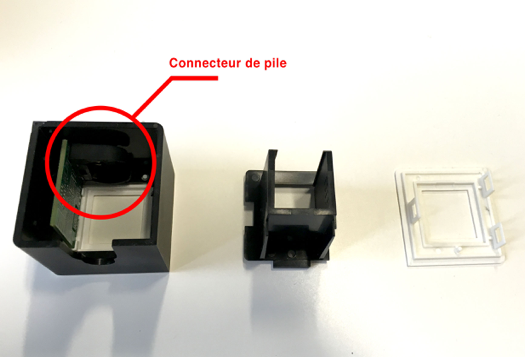 Our product is shipped with Colissimo services from La Poste. It’s only a simple shipping method, there are no signature needed, directly in your letterbox. You will have a track number to follow your order. You have tout know that we can’t be accountable of the no shipment of this product. Is something wrong happened, we advise you to contact the Colissimo services. In some special cases, the product can’t be place into you letterbox, your order will be returned to the nearest Post Office. If you don’t go there to pick up your order, it will be send back to us. If you want that we send it back again, you will pay again the shipment.